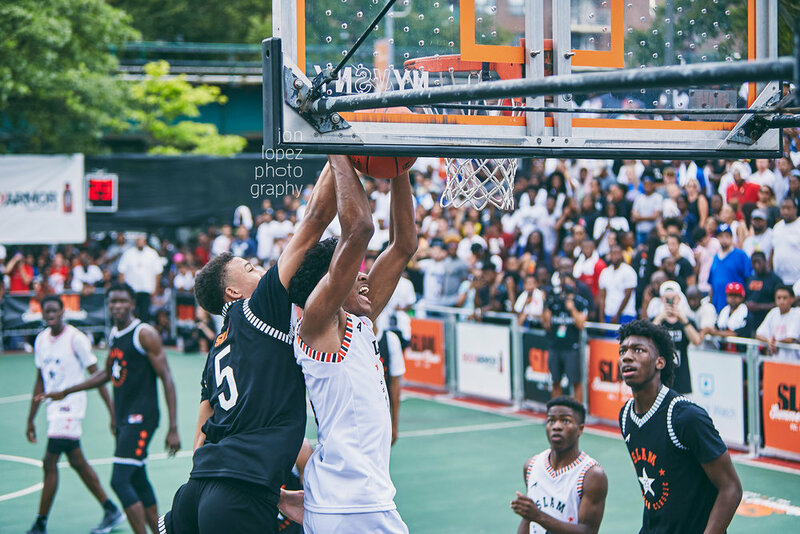 The inaugural SLAM Summer Classic in New York City in August of 2018 was special. I’m not sure it was possible to grow up as a basketball player and not be a fan of SLAM Magazine. I’ve been fortunate to have contributed to the legendary magazine in years past, both with my words and my visuals. But this year our partnership was elevated. I’ll share my SLAM Draft Suite experience with you in another post. 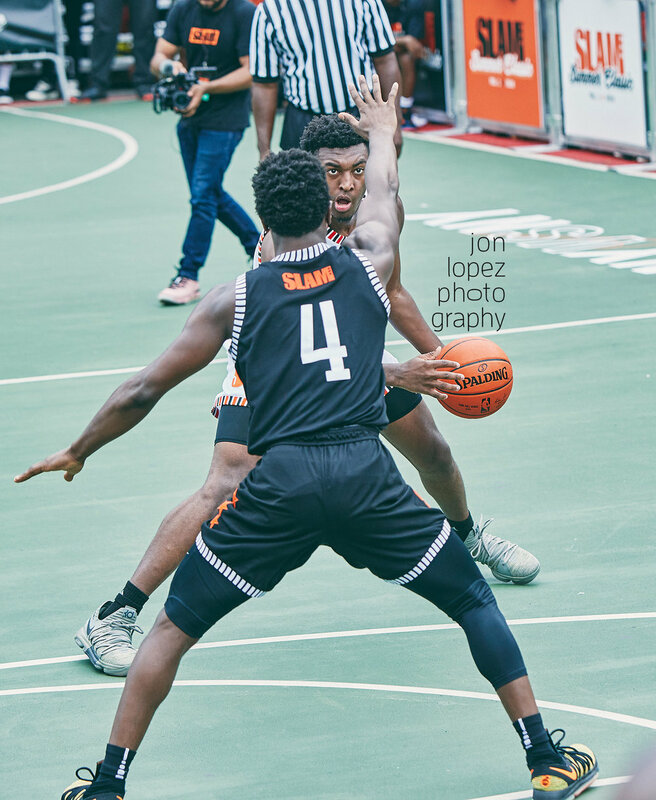 For now, let’s focus on some of the top—and most exciting—high school players in America descending on NYC for an all-American game regardless of graduating class. 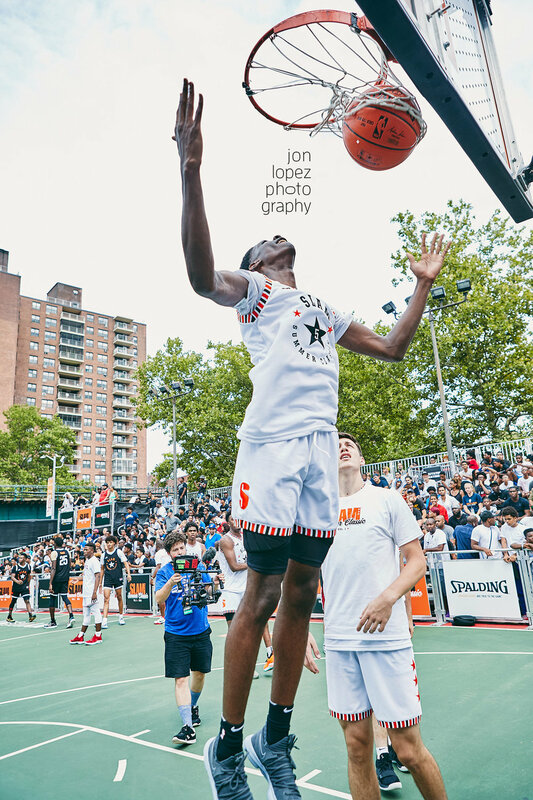 Jah’mius Ramsey clears 7-footer James Wiseman during the SLAM Summer Classic dunk contest in August of 2018 at the Lifetime Athletic at Sky facility. 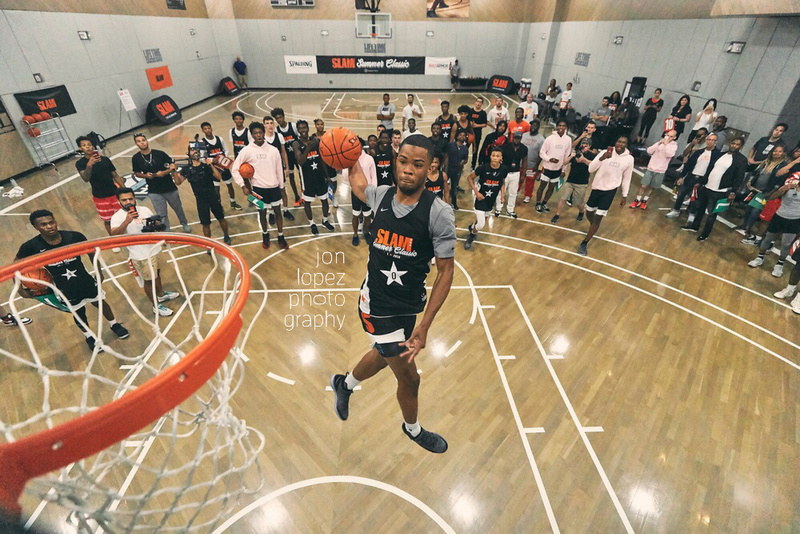 Cassius Stanley rises during the SLAM Summer Classic dunk contest en route to winning the title belt for the inaugural event. 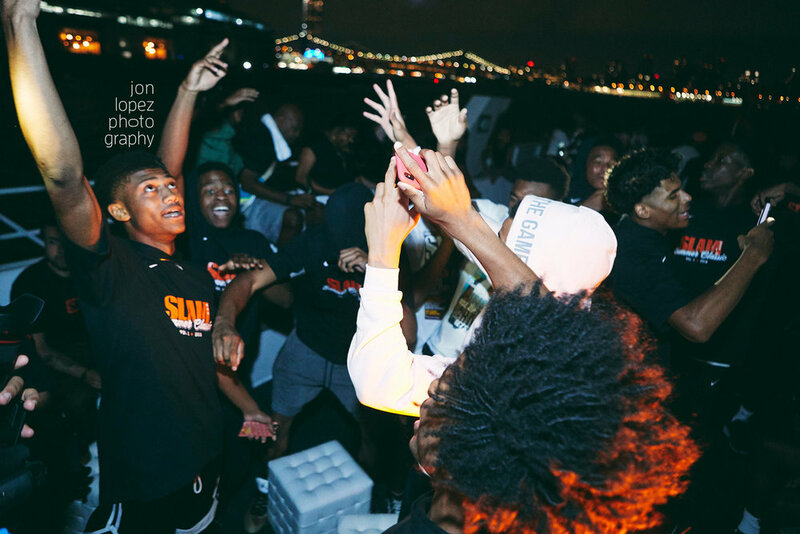 From the warmups and dunk contest at Lifetime Athletic at Sky—home court to some of the most elite runs in the world featuring the likes of Carmelo Anthony, Russell Westbrook, LeBron James, and James Harden to name a few—to the boat ride around the city that never sleeps to the culminating event on the hallowed court at Monsignor Kett Playground, I was on the sidelines with my camera. 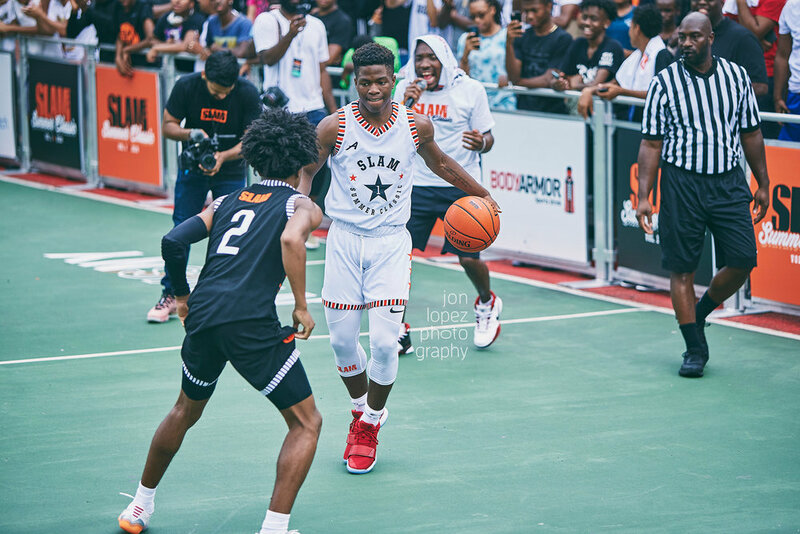 Los Angeles Lakers forward and Brooklyn native Lance Stephenson coached one of the teams at the SLAM Summer Classic at Monsignor Kett Playground in the summer of 2018. 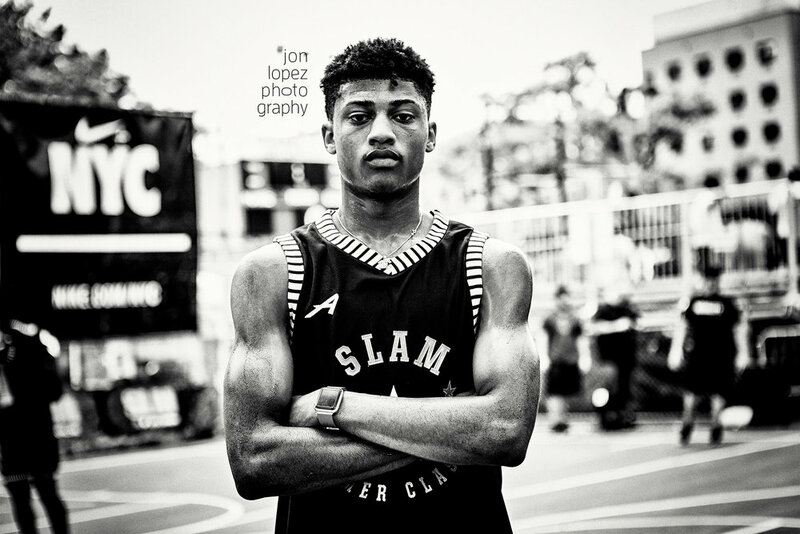 Teaming up with SLAM to document this historic event was special to me indeed. And continuing my work capturing the journey of the game’s future is a true privilege. Here’s what it looked like from where I was sitting. 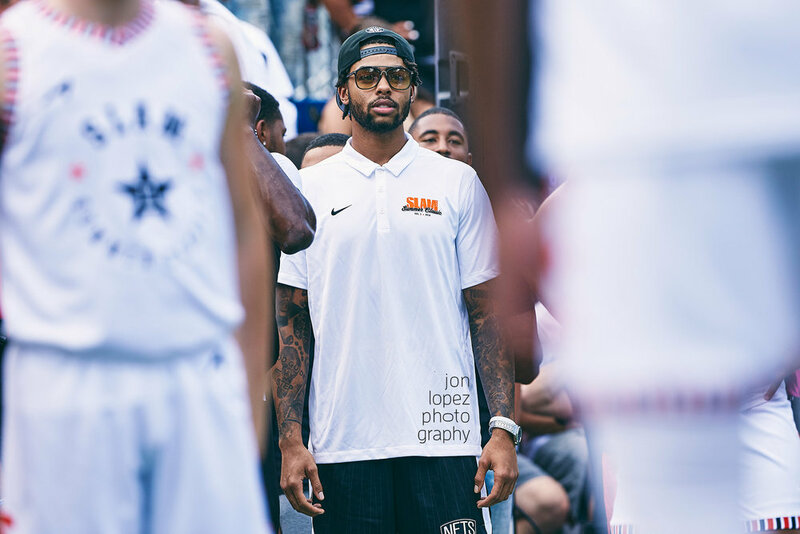 Brooklyn Nets guard D’Angelo Russell coaches from the sidelines during the SLAM Summer Classic at Monsignor Kett Playground in August of 2018. 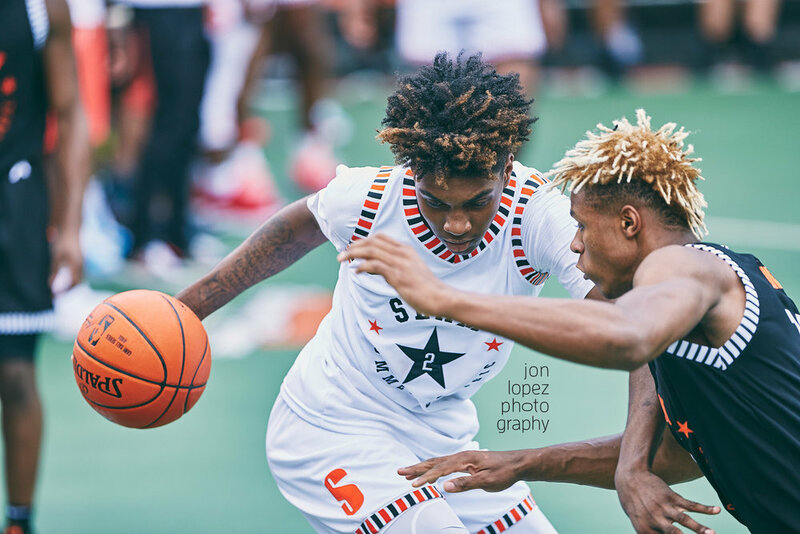 Sharife Cooper glides to the basket during the SLAM Summer Classic.